Air conditioner in need of service or repair. So… let’s be honest: here, winter isn’t exactly over. We’re in those few weeks of weird weather where the temperature dips and soars between 50°F and 70°F and rain comes and goes seemingly haphazardly. Spring won’t be here in full effect for a while, but that doesn’t mean you have to wait until the sun starts beating down on you to prep your home’s air conditioner. 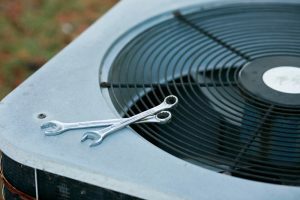 If you only walk away from this article with one piece of knowledge make sure that it’s this—the name of the game in HVAC is prevention. You want to make sure that you avoid problems at all costs rather than having them happen and then scrambling after the fact to fix them. If you need residential AC services in Birmingham, AL then make sure that you contact our team today. 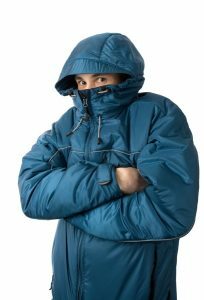 Posted in Heating | Comments Off on Did You Have Heating Trouble this Winter? Upgrade Now! For many homeowners, you don’t know that you need a new heater until there’s a glaring problem or a breakdown. We receive most of our calls for new heating systems when the situation is dire, but we want to point on the finer points of heating system issues for you so you can avoid these problems. If you’re experiencing any of the issues that we list below, make sure that you contact our team at your earliest possible convenience. Anything to do with the heating or cooling system in your home needs to be done in a timely fashion so that you can save yourself a headache. If you’re ready for a flawless heating system installation in Birmingham, AL then contact our team today. 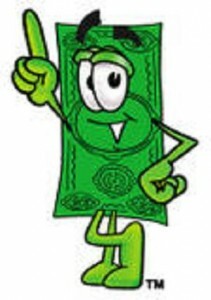 Does it seem like winter is siphoning money out of your wallet? 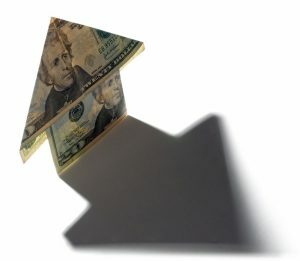 After a long, cold season, a lot of homeowners start to feel this way. The problem really isn’t the weather, instead, it’s the inefficiency of your heating system. There are some easy ways that you can bring your heater up to par and save yourself money in the process. If you’re ready to alleviate the strain on your pockets, make sure that you contact our team. We pride ourselves on having the best Homewood HVAC services—you won’t be disappointed when you choose our team. 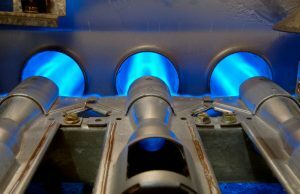 One question we always get here at Gas Engineers is, “Do I really need to schedule maintenance?” The short answer is yes, but today we’re here to expand upon why. We understand why people are often hesitant to schedule maintenance repairs. You run your heater daily in winter and when everything seems to be going fine why should you spend the extra money on a service that seems, quite frankly, unnecessary? 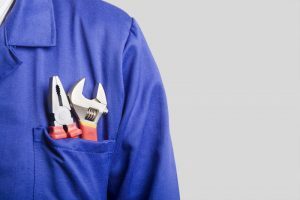 The reason why maintenance services might seem a little unnecessary to homeowners is that they do more than meets the eye. When you use a great team like ours you can stay sure that you always have the best heating quality possible. If you need Trussville HVAC services this winter, make sure that you contact our team. Are you looking to have more precise heating in your home? If so, you should consider zone-controlled heating. In a perfect world, your home would be perfectly constructed and set on the perfect piece of land so that you’d never have to deal with uneven heating, but unfortunately, the world isn’t a perfect place. 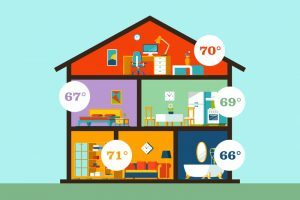 There are so many factors that affect the heating of your home. When you need a Pelham HVAC contractor, look no further than Gas Engineers. Our team is comprised of technicians that are extensively trained, have vast amounts of experience in the field, and always arrive prepared to service you. Are you having trouble with your furnace this winter? Lots of homeowners we encounter here at Gas Engineers tend to placate themselves—they can live with that weird rattling noise that happens whenever they turn the unit on and they’ll get used to the fact that there’s only a meek trickle of air flowing out of their vents. You don’t have to do this though! We know why so many homeowners shy away from getting the work they need to be done, repair services are very expensive, but here at our company, we know how to provide amazing heating services at very reasonable prices. If you need Birmingham furnace services, contact our team. We’re committed to going above and beyond your heating needs. Winter in Birmingham means holidays spent with loved ones, hot cocoa, and the less pleasant freezing cold temperatures. When it gets cold here, we know that you rely on your heater more than ever to keep your home comfortable. Just because you want your home toasty, doesn’t mean that you have to pay sky-high heating bills during this season, there are some very simple and effective ways to boost the efficiency of your heater this winter—we’ve listed some of the best ways below. 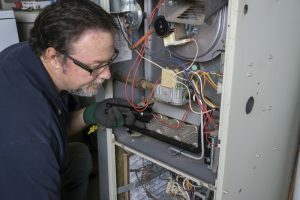 If you try these tips and don’t see the desired results, try contacting a heating contractor in Birmingham—particularly a professional from our team. We’re always meticulous and diligent workers that aim to make satisfied customers. We’re in the thick of winter weather here in Birmingham, so you might not think about your air conditioning system often. Think back to summer for just a second, were there any problems that prevented you from staying cool? Did you notice any peculiarities in your system that you shrugged off or neglected to schedule appointments for? Now is the time to think about your air conditioning system. 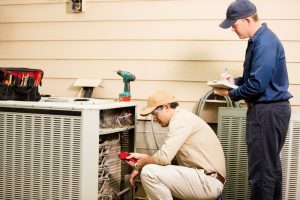 We understand why it’s hard to call for service in the summer, you don’t want your air conditioner to be out of commission even for a day in our muggy heat. Now that it’s winter, you can replace your air conditioning system without incident. If you need superior residential AC services in Birmingham, then contact our team today.